Here are Randy L's pics. Thanks Tucker for posting them. 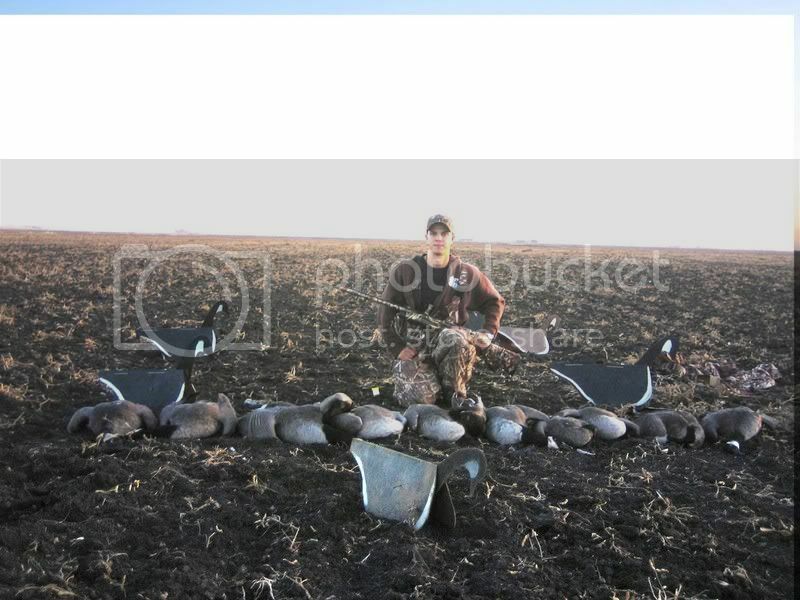 THere are 2 pics that are of the same hunt (the ones with the geese). I am having that wigeon mounted. He's by far the pretties wigeon I've shot. Mudhen, how do you like shooting the Silver Hunter? I've looked at them and like 'em, but their advertising suggests great value for the $. Sounds like a disguise for cheap but I wondered what you thought. I like it, but mechanically, it is about 1/3 what my Benellis are. It jams all the time. It will not fucntion with light loads, even light duck loads. The Dura Touch coating is wearing off after just a few hunts. But the POI matches the POA much better than my Benellis, so I'm kind of torn. I will probably just have a few of my Benellis worked on soon to improve the POA/POI issue. Our second split just ended Saturday, but I didn't even bother trying to hunt ducks anymore after my last outing. The weather here has been horrible. 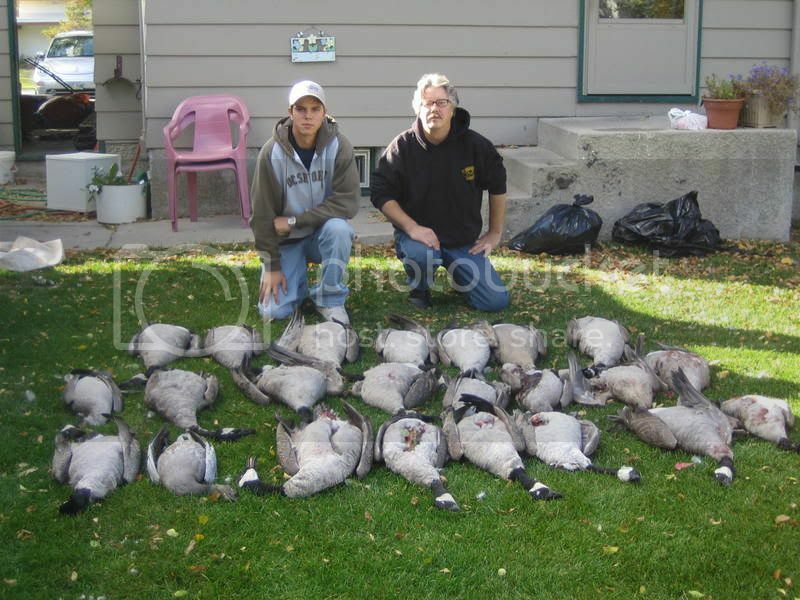 What few ducks we had have been killed or shot at by every hunter at least twice. We need Alberta Clippers and we need them soon! The third and final leg opens next Saturday. Some cooler weather has moved in, but it's not coming from the North and Northwest the way we need it to. Until we get some decent weather, I'm afraid the Mid-Atlantic pics are going to be few and far between. I'll live vicariously through you until things improve here. Slow day at a public refuge. My birds are on the left. A few gooses in my area! Mudhen good hunting. Whenever my dad and I go we only get like 2 or 3 ducks. Do the shovelers ever move on through or is that as far as they go? We see them all season, but Dec - Feb they are thick, so I think this is the end of the migration for many. Hope that pic worked. 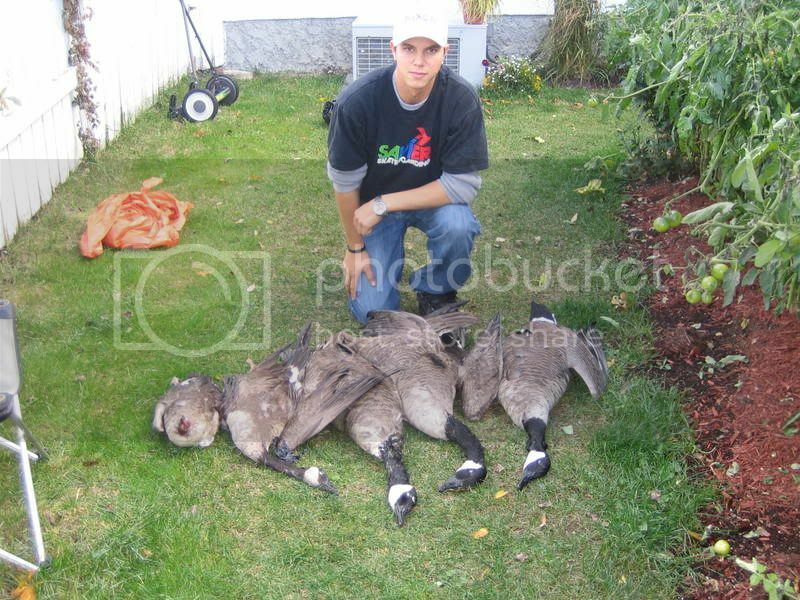 Those two geese were my first birds I killed this season. I shot those geese on thanksgiving morning. A flock of three came in while I was looking for a female woodduck(first duck I shot this year) I shot earlier that morning(which I never found ) I shot two and my hunting buddy shot the other goose. What refuge did you shoot? 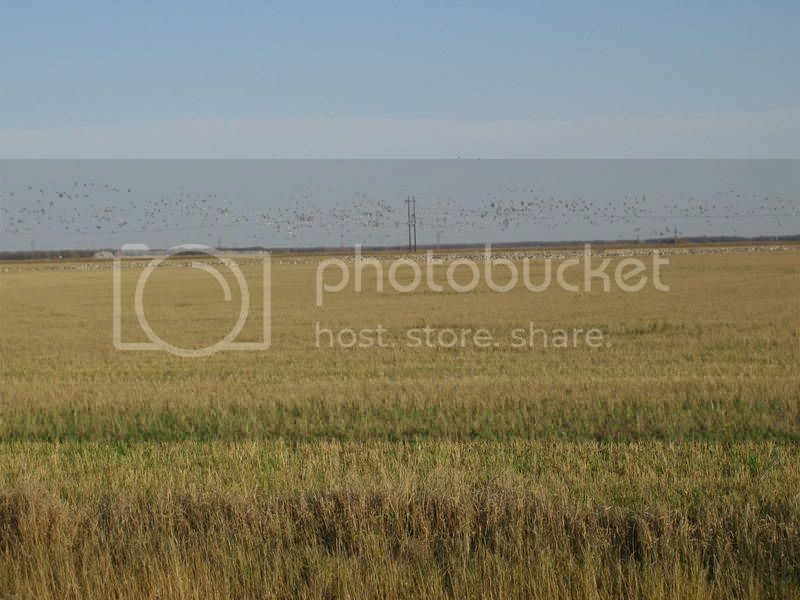 I shot Sac a few weeks ago, and there were a lot of spoonies. I shot last Wed. at my club and we shot 14 ducks and 2 geese in that north wind. The think this cold front has brought in quite a few new birds. I'll try and post pics, but I've been having difficulty figuring out how. Any tips would be helpful. There are lots of shovelers on almost every refuge in Cali! Everyone I know that hunted Wed hammered them. The cold front might have moved a few birds out of Klamath, but no one in particular is seeing any significant increase in numbers in their area. Maybe a few teal moved into the Grasslands. I only took a few pictures this season but had many amazing hunts! These were all taken in Manitoba in early September and October. Shortly after setting up my dad and I got our limits, it was a really quick afternoon hunt. This was my first limit of the year. This was my girlfriends first goose. Well hope the rest of you have or had a great season like i did! Next year i will take many more pictures. It's good to hear that a lot of you guys can still hunt. Everything here is closed, unless I want to go to the Farm and shoot scratchers. It's also good to see that someones better half is out, too. Seems fairly rare that the ladies go with, I've been trying for a while. It's also good to see that someones better half is out, too. Seems fairly rare that the ladies go with, I've been trying for a while. If wifezilla is going, I may as well stay home where it's dry and warm. Here's another one from Randy L.
Sorry it took so long. I almost forgot about it. Three man limit of puddlers. Gadwalls, Mallards, Blacks, Wigeons, & Woodies. That fellow on my left is Leroy. He's 66 years old and has been hunting this spot since his Dad first took him there in 1959. Even though DU decided to dam the creek and block our access, we proved this morning that a motivated duck hunter has a can-do attitude and will find a way to get to the birds. We motored up to the dam, unloaded the boat, DRAGGED the boat up and around the dam, reloaded it, and motored up to our blind. We got our limts by 11 AM and left them in peace. Very cool. Glad you guys were able to get in there and hunt!